The Presidential Adviser on Political Matters, Babafemi Ojudu, has chastised Ekiti State Governor, Ayodele Fayose, over his call for the resignation of President Muhammadu Buhari. He said the governor by his tirade against the president was portraying Ekiti in bad light. 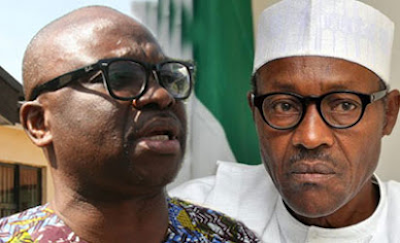 Mr. Fayose called for the resignation of the president on grounds of his ill health.